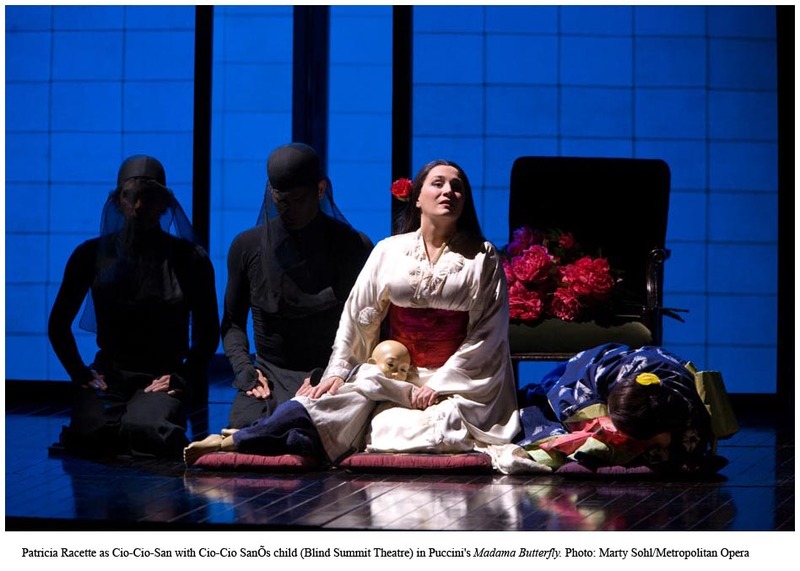 I struggle with Puccini and cultural appropriation. Turandot is bad, Butterfly is worse and, if the stage directions in the libretto are followed, Fanciulla is completely intolerable. My wife is Japanese and she thought that the "puppet" was quite charming. She was thoroughly moved by it. I can only speak on that aspect. The set was never discussed, but is unoffensive enough to not be a problem. Interesting review and thanks for the links! The Herheim was a wonderfully cathartic experience for its nailing of the audience’s voyeurism, and having the onstage Puccini trying to ‘save’ Butterfly functioned on one level as a neat bit of misdirection to make that point (I'm sure there were people disgusted by his ending who would have been equally put out of joint had she not died). That Herm managed it without being too snotty towards our beloved bourgeois Publikum deserves extra points for being classy. But he didn't do much beyond, as you put it, challenging the text in this quite specific way. In short, it wasn't at all dialectical. That, to my mind, is what makes Konwitschny's production so interesting. I have long, complicated thoughts about this staging, which I think ought to be regarded as ground-breaking, but articulating them would totally hijack your comments thread plus I’ve got blogging and non-blogging things yet to do this evening. Writing a straightforward descriptive review short-changed it, but I will definitely see this production again, perhaps even this season, and try to unpack it in a bit more depth. About Minghella: it’s been some time since I saw this production, but I remember my reaction to it being fairly strong. 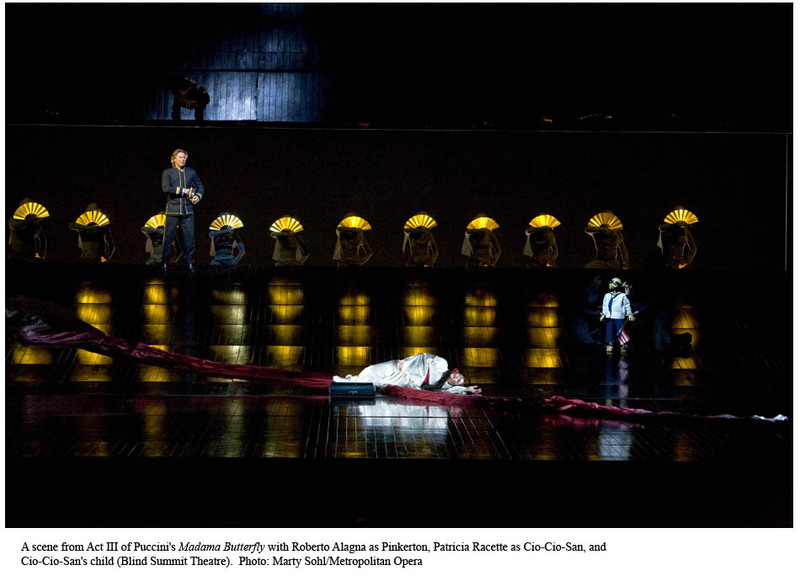 I have – and still would have, I think – problems with the insidious idea that so long as the staging is well-intentioned, elegant and transcends japonaiserie, then it’s OK to take lazy and expedient short cuts and yet pass it off as the real thing. Contra your commenter’s Japanese wife, my former Japanese native speaker teacher, who being an avid opera-goer saw this production (and was, incidentally, a close friend of Edward Said), was also quite uneasy about it. 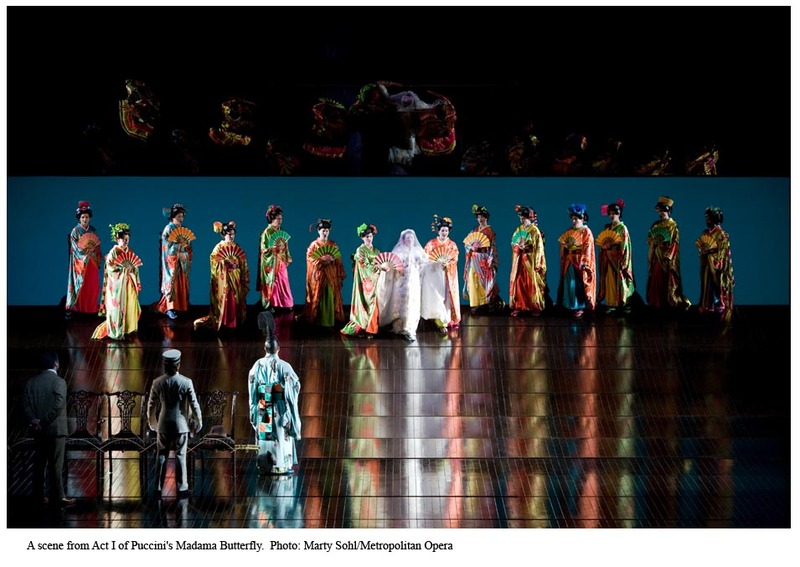 There have been and there are women like Butterfly in Japan, so I think this opera can ditch the inscrutability and be made to work from her perspective so long as you get – sorry to use the Japanese term – the nihonjinron right. Konwitschny did that, either with help or some study of Japanology. I don’t imagine it’s easy to do it as well as he did, but directors who don’t even try is one of the many reasons to avoid traditional productions of this opera. Interesting comments. We agreed with others around us that Domingo's conducting was very good. This was our 2nd time but first time with Domingo conducting. We thought the conducting was much better this time round. More in sync with the singers. Zwölf, interested in what you have to say about Konwitschny. The essential difference I've seen between his stuff and Herheim's (I will attempt to make a big yet poorly thought-out point briefly) is that K often radically upend the perspective and moral balance of the piece to make it entirely about his (K's) view of what it means, while H deconstructs the traditional or historical reception and sporadically estranges us from a conventional appreciation of its charms. Final Anon, I'll grant that Placido's synchronization wasn't the problem, his problem was, well, everything else. I've heard Mark Elder and Asher Fisch conduct this production before. Elder was very good, Fisch was perfectly OK, both were worlds ahead of Domingo–he has no sense for the texture of the orchestration or any real dramatic pace, it's all kind of flat and directionless. Other Anon, perhaps I should have cut Diegel some slack for the volume issues since Domingo probably wasn't helping him out there. It's a nice voice, but in this he sounded more like an Alfredo than a Pinkerton. Pinkerton calls for a full liric sound (especially in a theater this big) and the sub-tenor in this case was miscast. While he may fill out the costume, his limited vocal resoures cannot fill the house with the sound needed to ride over an orchestra of such magnitude. He would have done well to follow Naouri's example as the baritone's path to such an important venue has been marked by years of experience and preparation. One needs time to hone their craft, but unfortunately young singers are too much in a hurry to make their mark. Instead they should reflect and find their niche in the right repertoire and stick to it, ignoring temptations to sing such important roles in such an important opera house. Let's hope that Diegle discovers this before his vocal resoures are tapped out. Belated commenter: since he was a cover, this seems rather unfair. All things considered he was alright, as I remember.